House painting can be the easiest way to refresh your home, but it can also be a tricky task. Save your time and energy and assure to receive a professional service by letting our trained painters do the job for you. Don’t risk turning your home into a messy place with drops of paint over the carpet and uneven color on the walls. Our multi-skilled technicians pay extra attention to the details - exactly what you need to get perfectly painted walls or ceilings. We use only premium painting products to assure your walls or ceiling will look exactly like you want them to. Why hire our bespoke painting service in Perth? What kind of surfaces can you paint? We can paint any type of surfaces. Fantastic Handyman Perth specialises in interior painting service as well as exterior painting. We can paint your ceilings, wood frames, doors, windows and any type of cabinets and wardrobes. We can restore small areas of different surfaces. We will make sure that all of your belongings are safe and not a single drop of paint will damage them. What to expect from our professional painters in Perth? Whether you need interior wall painting, ceiling painting or repainting your doors, we will make sure that all of your surroundings are protected. 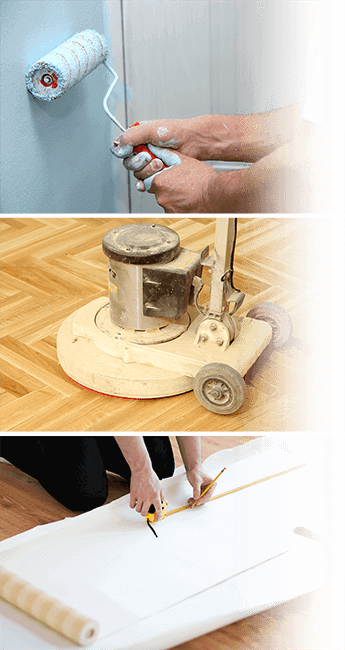 Our house painters will listen to your request and provide you with information to make sure you'll receive the best results possible. They will pay attention to the smallest details and make sure all imperfections are avoided including making sure every nook and cranny is properly painted. Do I need to provide you with the tools and paint? The cost of materials is excluded from the service cost. It’s up to you whether you want to purchase the paint by yourself or trust us with it. Have in mind that if you choose to let us order the paint on your behalf it will be added later to the final cost. We do come prepared for the job with the proper tools such as brushes, trays, paint rollers and ladders. Why trust our house painters with your job? We are passionate in what we’re doing and this is obvious in our results. We take pride in providing customer-oriented services - our main goal is to satisfy your needs. You can easily contact us through different channels - you can book our service online or call us over the phone. We guarantee a quality of workmanship by following industry-set standards. We are part of a recognisable brand providing home services. What else can we do while there? You can rely on our company to provide more services for you on the same day for your convenience. 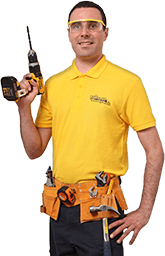 Combine your painting service with TV installation or plumbing repairs to save time and money.